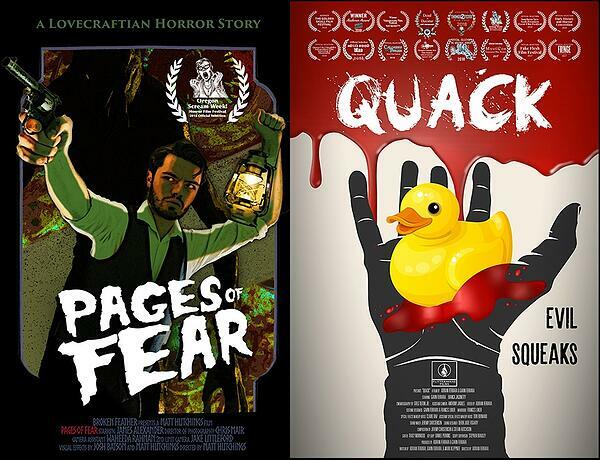 Oregon Scream Week: Horror Film Festival is a theatrical screening event in Portland for independent horror films. 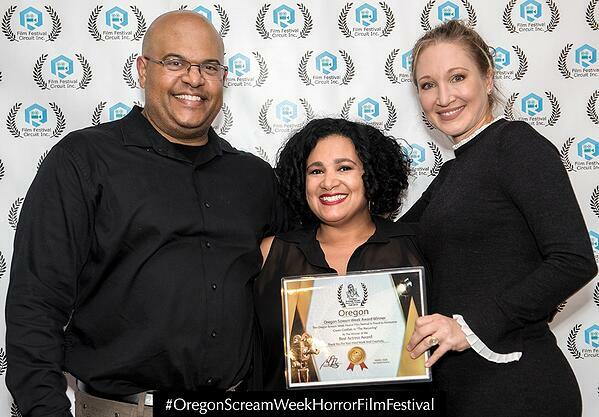 Oregon Scream Week: Horror Film Festival also recognizes exceptional filmmaking and screenwriting with awards and nominations by our judging panel. 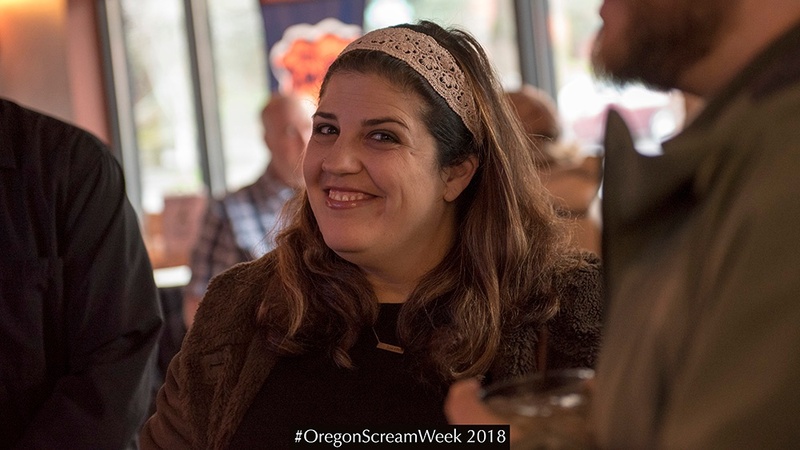 The second Oregon Scream Week: Horror Film Festival event was so much fun! Thank you to all that attended Thursday - Saturday October 25-27, 2018. 60 short films screened from 11 different countries and 17 US States are represented. 49 horror screenplays were recognized for outstanding writing. The audience feedback that I received was very positive. There was a good mix of laughs, screams, and people were impressed by the variety of great films in the line-up. Film and screenplay submissions are flowing in for our upcoming 2019 season already! Best Actress Award Winner - Gwen Gottlieb in "The Recurring"
Best Actor Award Winner - Best Actor Jonathan Benton in "Songbird"
"Camp Death III in 2D!" Directed by Matt Frame (Canada) - Watch The Trailer! "Photokill" Directed by Lance J. Reha (New York) - Watch The Trailer! "An Actor Prepares" Directed By Carey Kight (New York) - Watch The Trailer! "Apollyon" Directed By Matt Burkett (Arizona) - Watch The Trailer! "Damian" Directed By José Luis Anaya - Watch The Trailer! "Dark Wake" Directed By Abdul Ali - Watch The Trailer! "Disposition" Directed By Eric Thirteen (California) - Watch The Trailer! "Goodbye Old Friend" Directed By Rafael De Leon Jr. (New York) - Watch The Trailer! "Negligence" Directed By William Rubini (Florida) - Watch The Trailer! "Night Shift" (Turno De Noche) Directed By Juanjo Avi (Spain) - Watch The Trailer! - Awards & Filmmaker's Mixer at the HobNob Grille, which is walking distance from the Avalon Theatre. No films will screen at the Filmmaker's mixer. Dark Wake Teaser from Red on Vimeo. "Compulsion" Directed By Brian Sepanzyk (Canada) - Watch The Trailer! "Silverline Valentine" Directed By Brandon McDuffey (Colorado) - Watch The Trailer! "Slaughter at Lonesome Rock" Directed By Lucas Thyer (Australia) - Watch The Trailer! "Swipe Left" Directed By Kevin Mosteller (California) - Watch The Trailer! "Tater" Directed By Spencer Lenzie - Watch The Trailer! "The Baby Whisperer" Directed By Sean Gilligan (Australia) - Watch The Trailer! 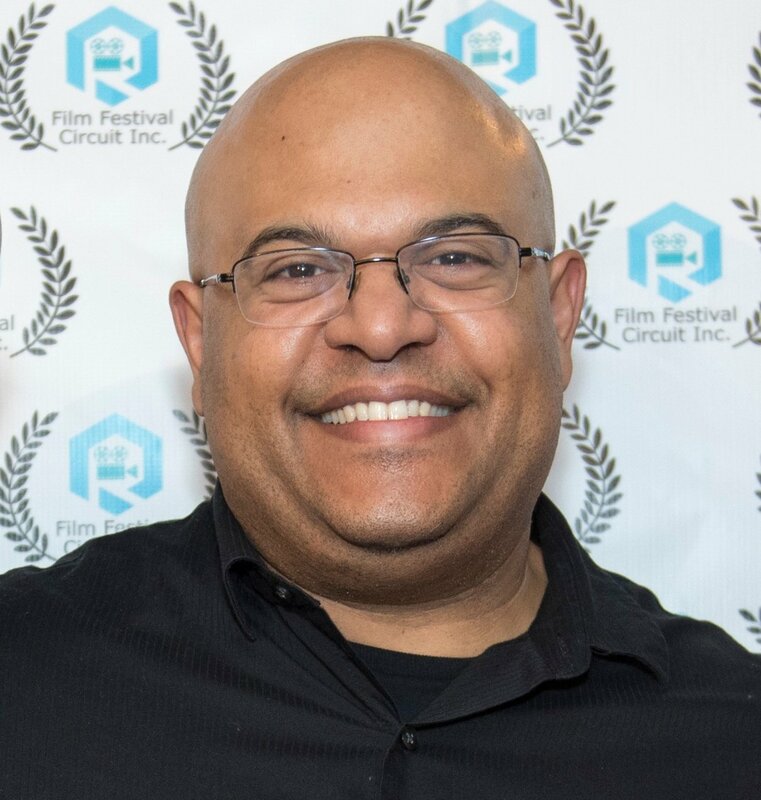 "The Chairman" Directed By Frank White (Minnesota) - Watch The Trailer! "The Corpse" Ep 1-3 (The Prozzie, The Mormons & The Girlfriend) Directed By James Button & Kristaps Kazaks - Watch The Trailer! "The Door" Directed By Lola Rùi (Spain) - Watch The Trailer! Best Actor Conner Neddersen in "Cat Box"
Best Actor John Marcucci in "Dark Wake"
Best Actor Jonathan Benton in "Songbird"
Best Actor Sean Ormond in "Miscreant"
Brielle Deruise in "You're My One"
Gwen Gottlieb in "The Recurring"
Brook Tate in "Something Within"
Sara Malakul Lane in "Disposition"
Sophie Sakson in "Silverline Valentine"
"They're Watching" Written By Samantha Bringas (New Jersey) - Winner! 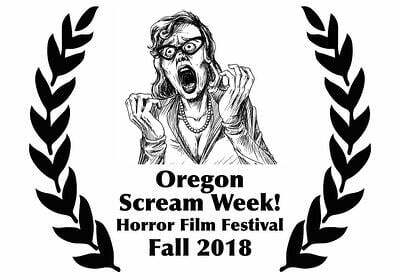 Oregon Scream Week: Horror Film Festival 2019 Submissions Now Open! Are you a filmmaker or screenwriter that would like to submit your creative work to our horror film event in Portland, Oregon? 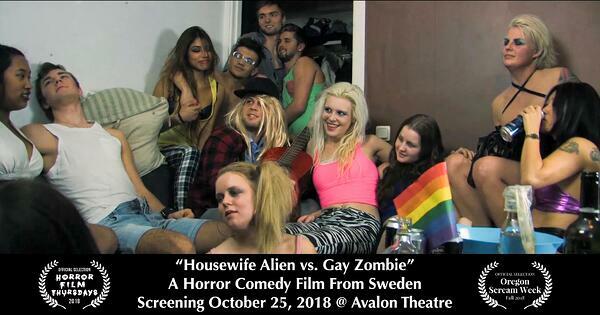 We are always looking for new and fresh movies for our horror film audience in Portland. This town truly appreciates independent horror films. We screen films from 1-30 minutes in length and have 6 categories for films and 6 categories for screenplays including: Micro Short Horror Films, Horror Films, Horror Comedy Films, Experimental Horror Films and more. Explore our complete list of categories on FilmFreeway, Withoutabox or Festhome.